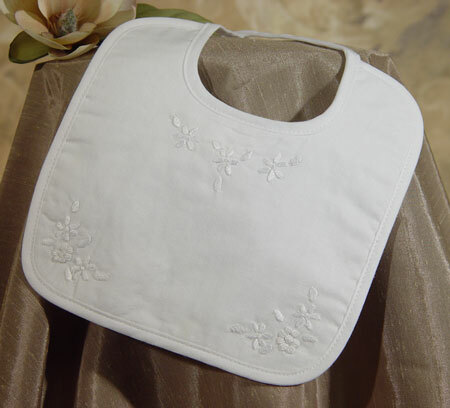 Soft lightweight cotton broadcloth, double layer christening bib with beautiful hand embroidery. 100% Cotton. Hand Wash. Approximate size: 6.5" x 6.5". Packaged in vinyl bag. Hand made and hand embroidered in South America.